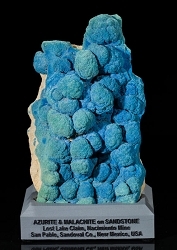 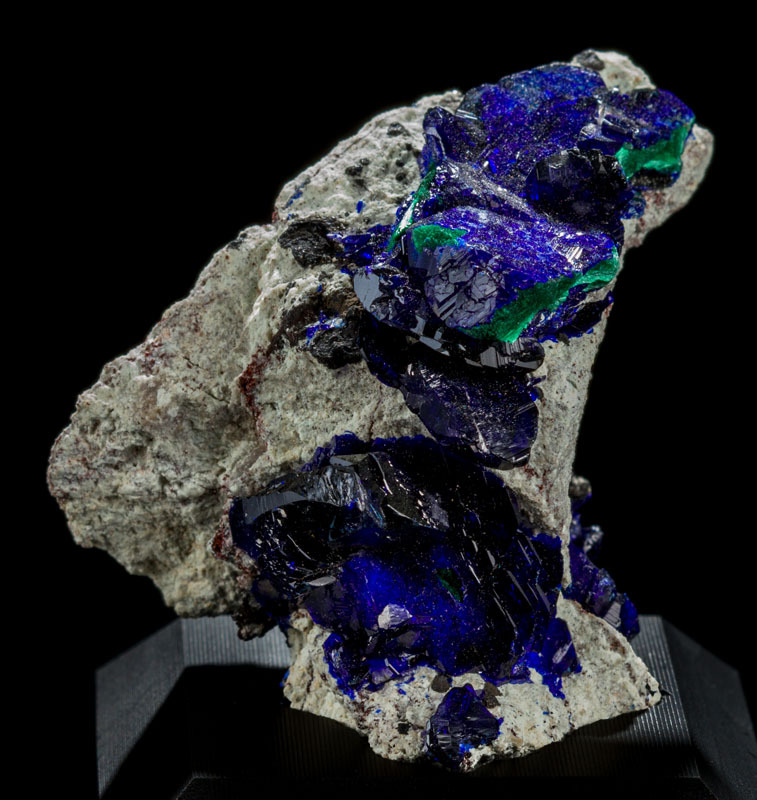 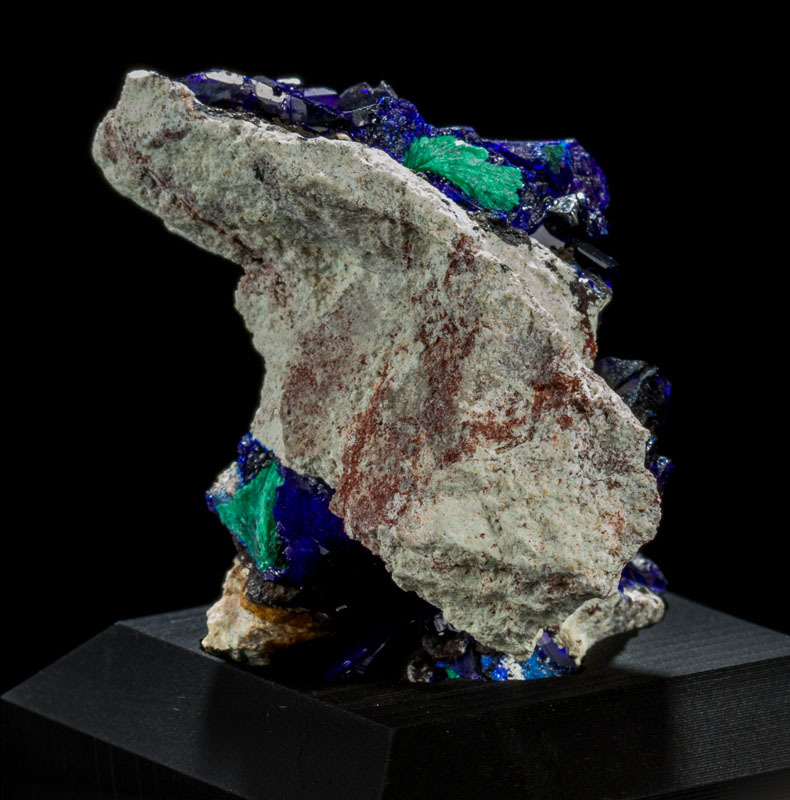 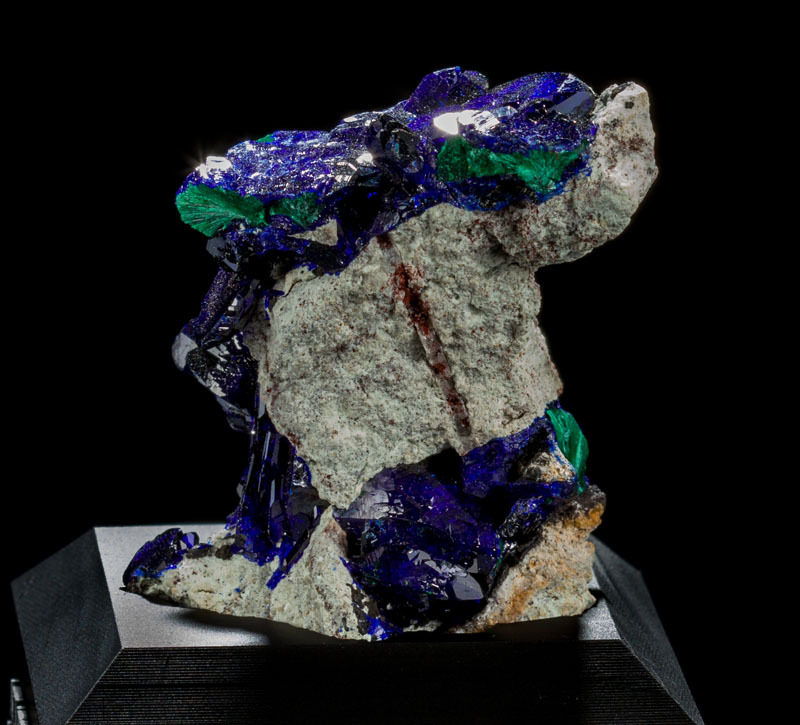 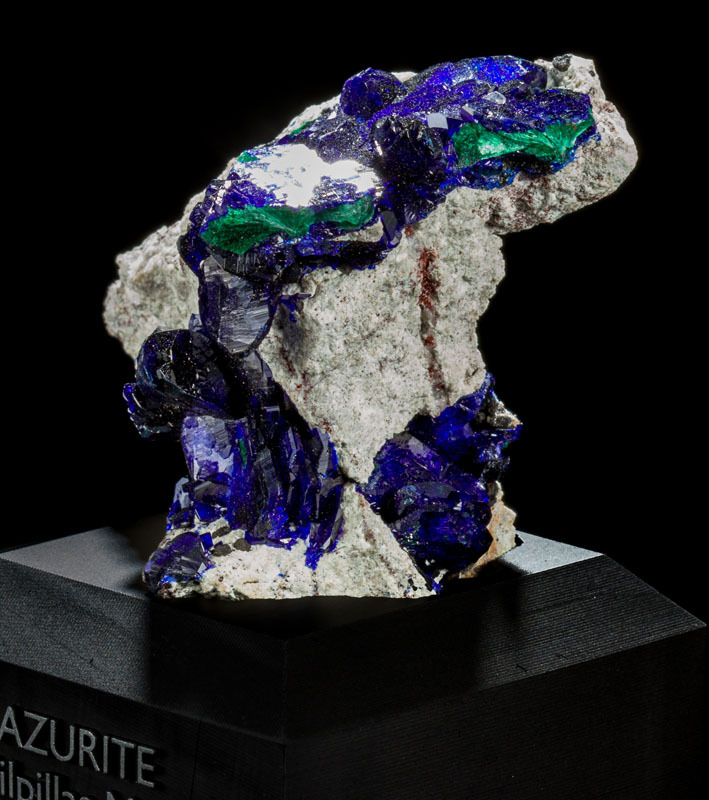 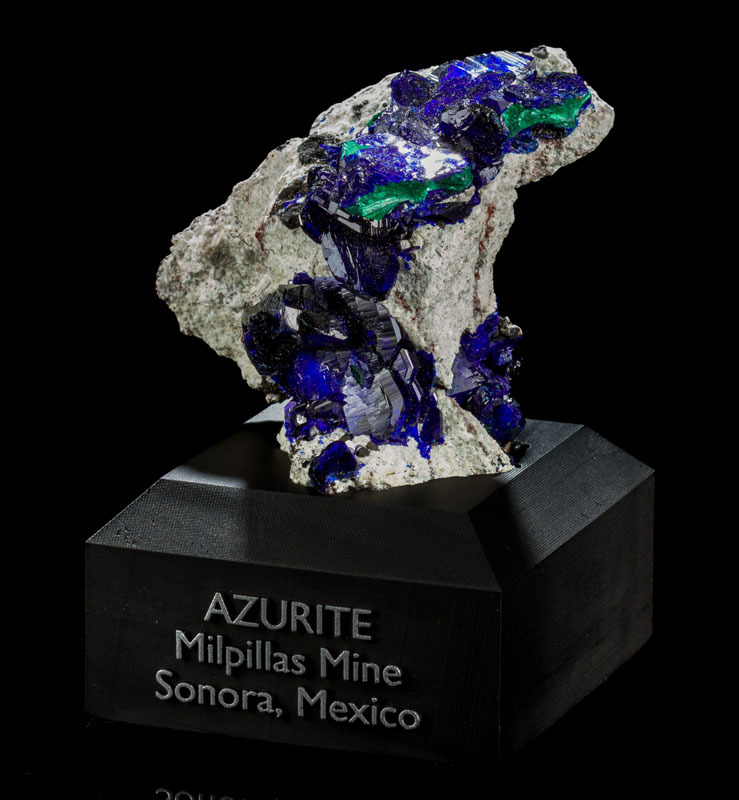 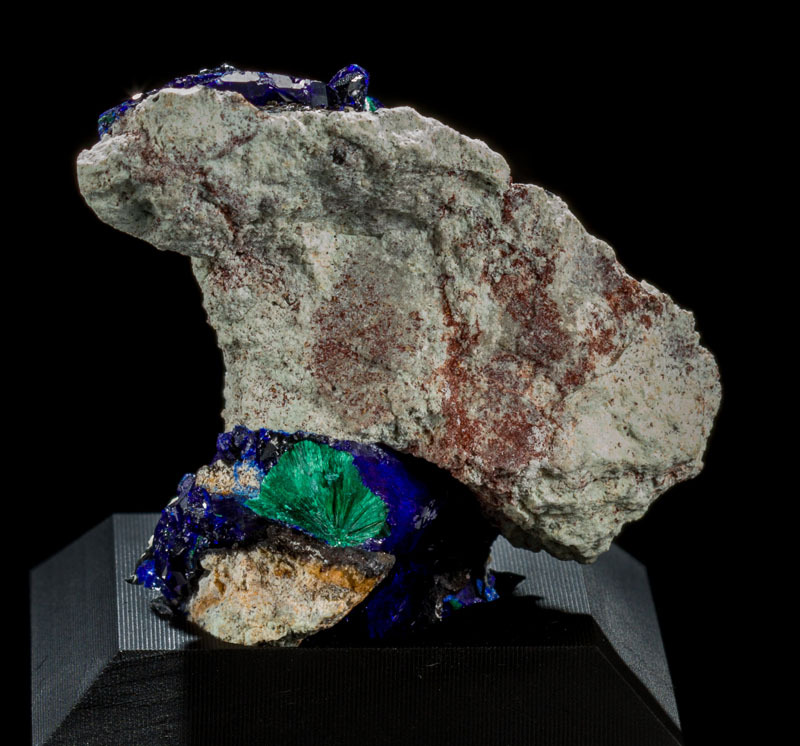 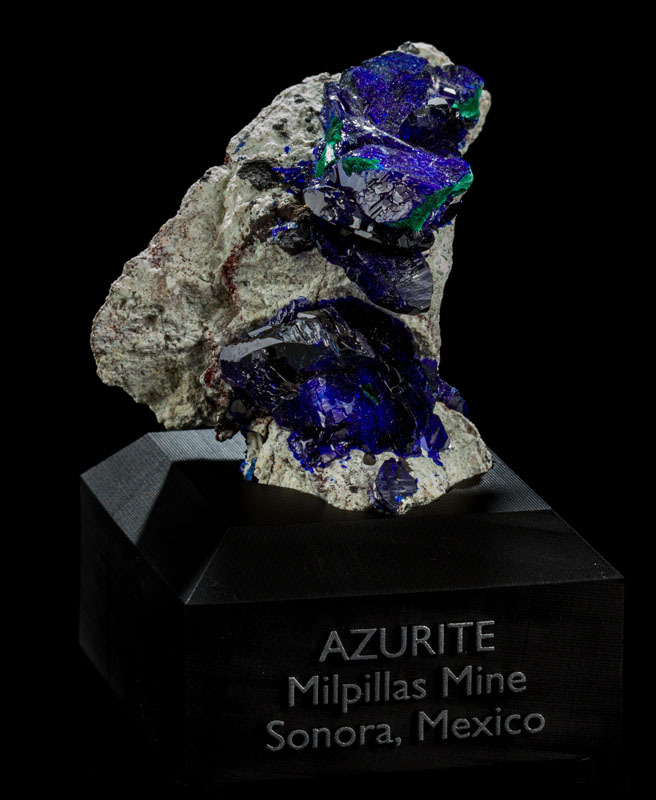 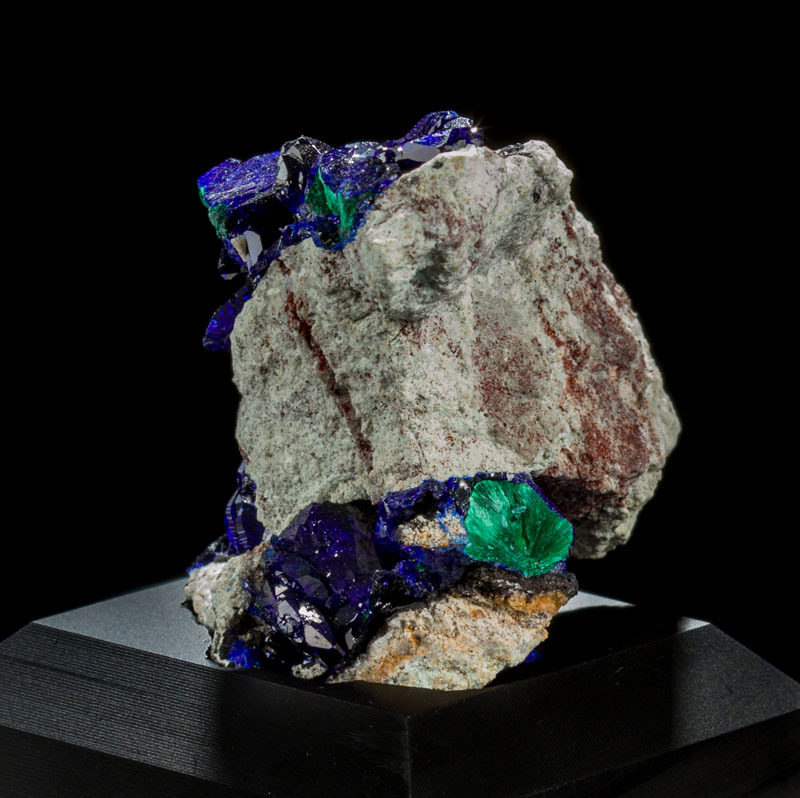 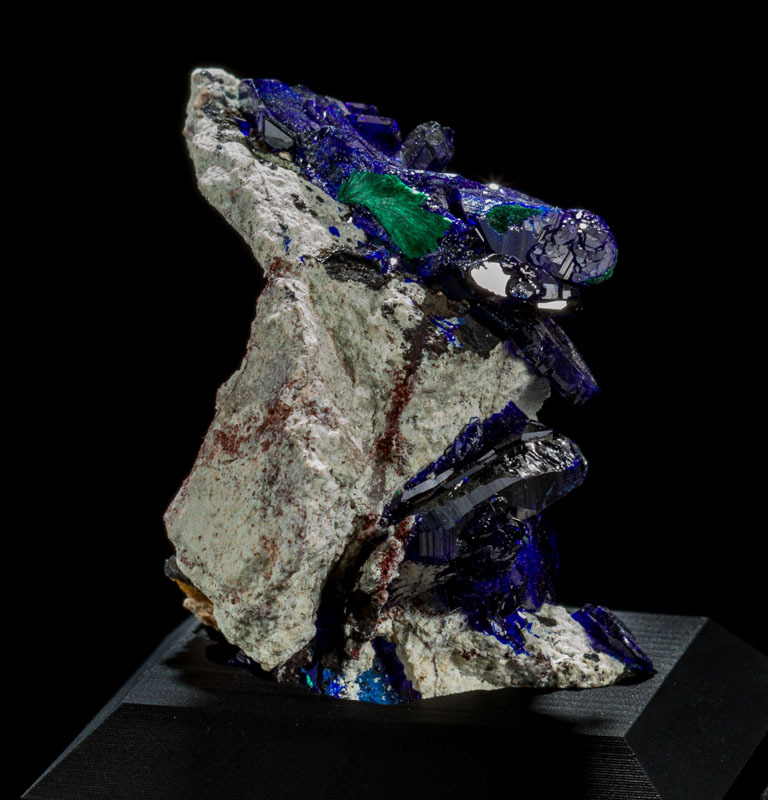 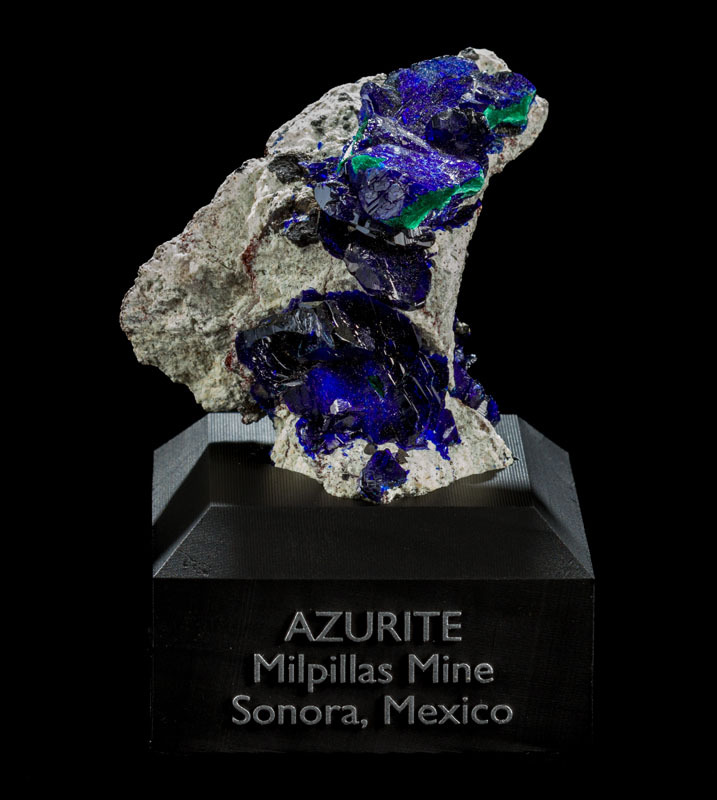 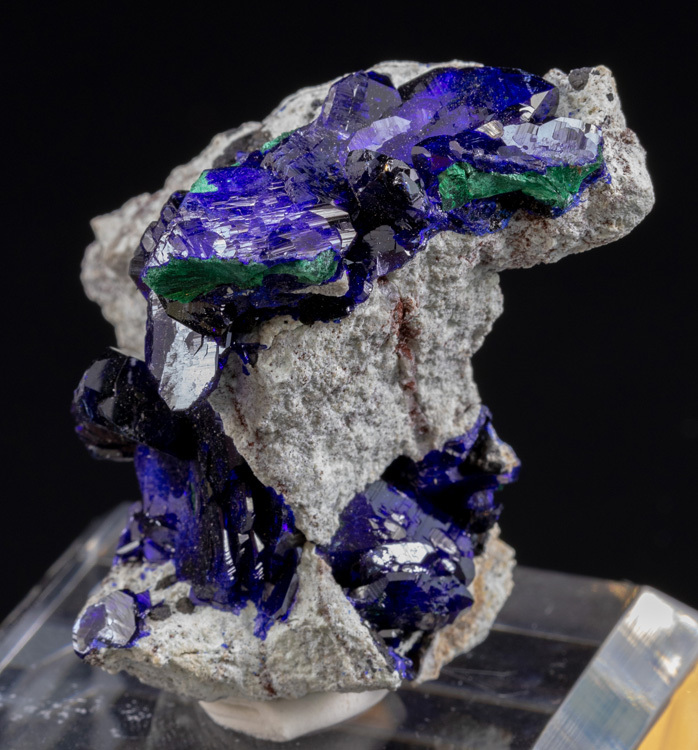 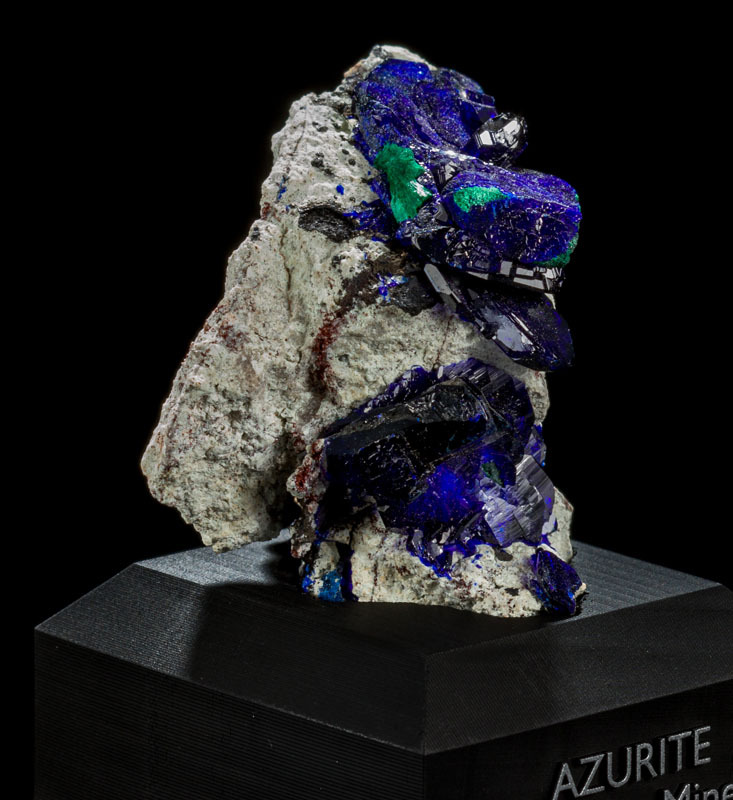 This Milpillas Mine azurite & malachite specimen has crystals up to 1.8cm long. 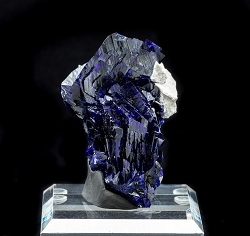 The color is deep blue with excellent luster. 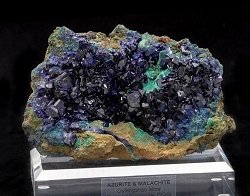 The green malachite has a shiny, almost metallic-looking appearance, and it seems to all be growing on the cleaved ends of certain azurite crystals.